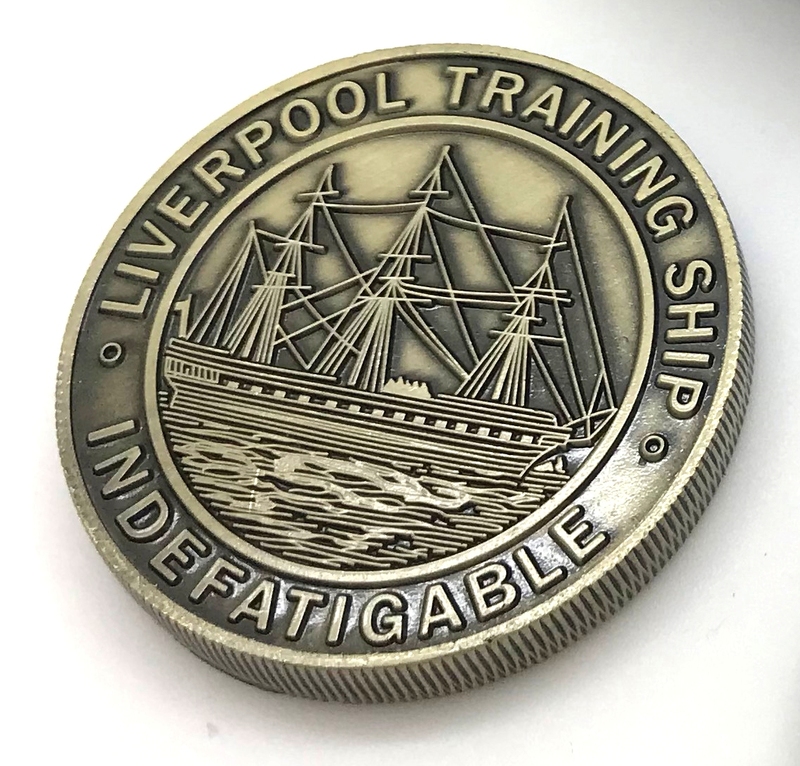 With donations being made to the Indefatigable Old Boys Association, this beautiful commemorative Coin/Medal celebrates those of us who served and went to the Indefatigable Training Ship & School between 1864 – 1995. 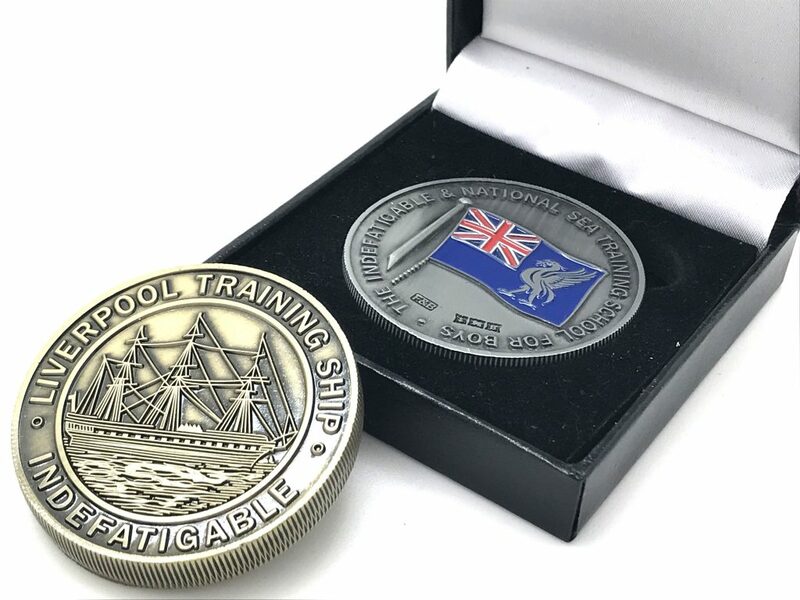 This antique brass or antique nickel-plated piece features a synopsis of the Training Ship service from an actual 1912 Indefatigable Bible on the obverse. The reverse displays an intricate design that Captain Joe Earl (IOBA member) gave me an idea of from his own ‘Indefatigable Medal’ from 1957, where these medals were given out as prizes issued for the Top Class or as individual prizes such as Swimming, Seamanship on Prize Day. 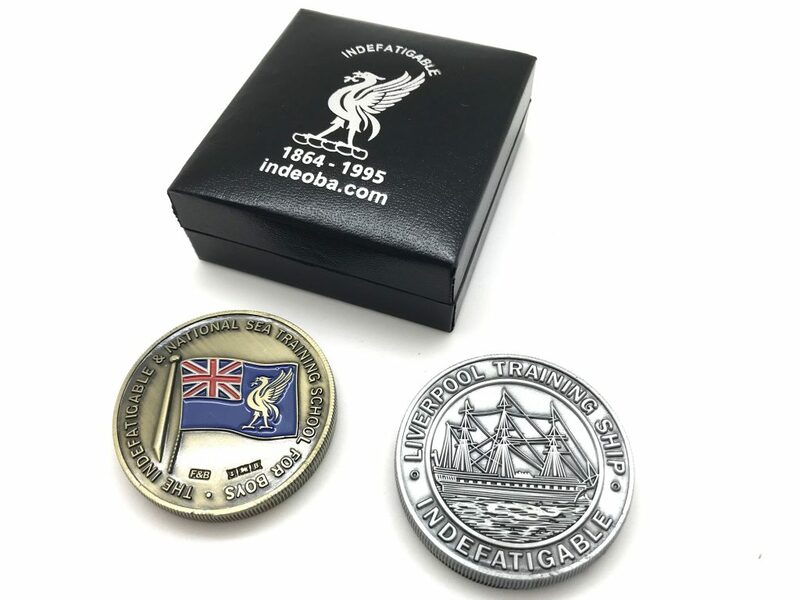 Available via the IOBA online shop (after the 2018 IOBA Reunion), you will be helping to raise funds and awareness of the IOBA which we are privileged to be supporting. 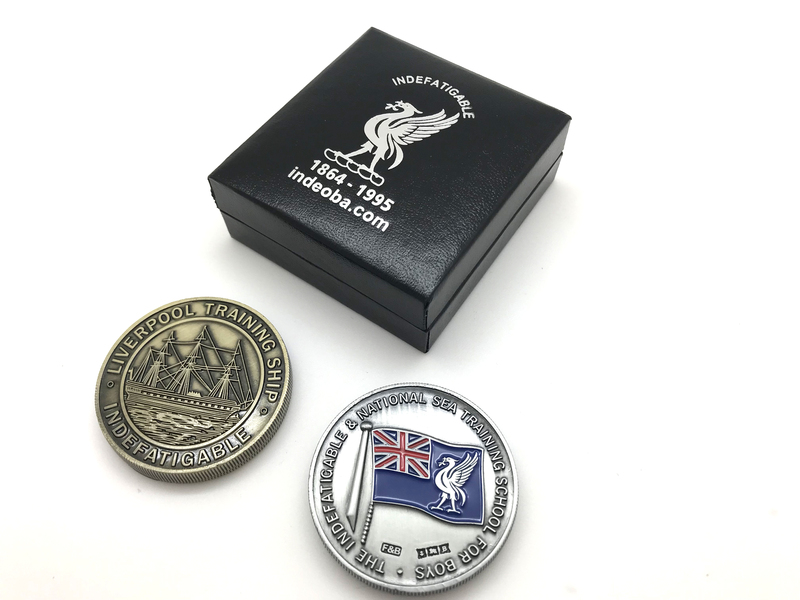 Cost: £15:00 each Coin & Presentation Box + P&P. 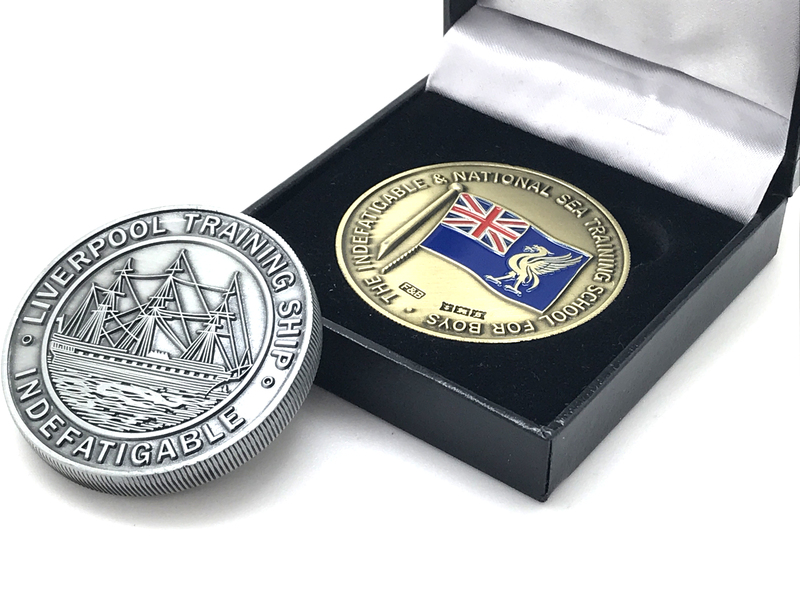 Plating & Finish: Antique Brass or Antique Nickel (on Zinc alloy with soft enamel). Edition Limit: For now there are only 250 made. x250 IOBA Presentation Boxes, with www.indeoba.com. x125 Antique Brass ‘bevelled edge’ coins with navy ensign. 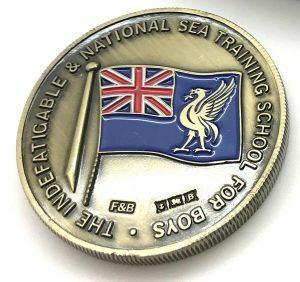 x125 Antique Nickel ‘bevelled edge’ coins with navy ensign.